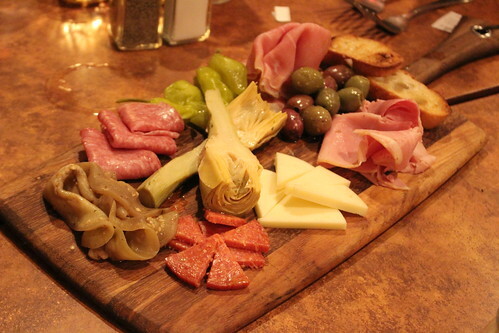 Antipasto board. 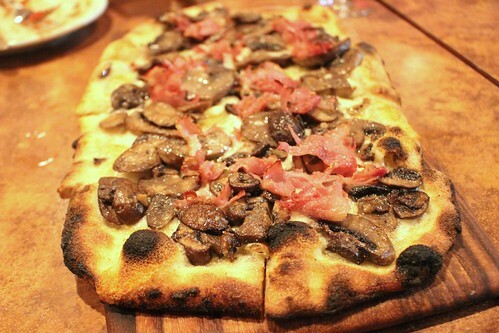 Among these I enjoyed the parmacotto ham, marinated artichoke hearts and the marinated Japanese eggplants. My favorite from this plate was the stuffed peppers, which weren't that spicy but had a nice kick to it. 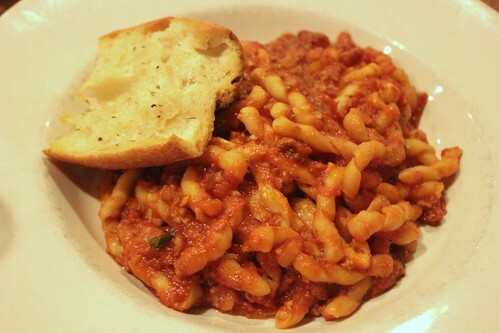 We ordered our own entrees but I shared with another blogger so I can try more, starting with the Fusilli Bolognese (veal, beef, and pork bolognese braised and simmered with diced carrots, onion, celery, crushed tomatoes in a red wine tomato sauce, $15). 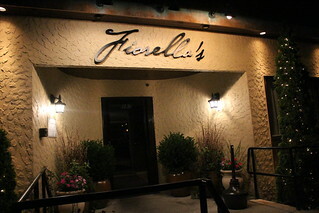 As you can see, fusilli a corkscrew-shaped pasta and it's one of the fresh, handmade pastas that Fiorella's offers. The handmade fusilli was great, this bolognese was a simple but excellent plate of pasta. 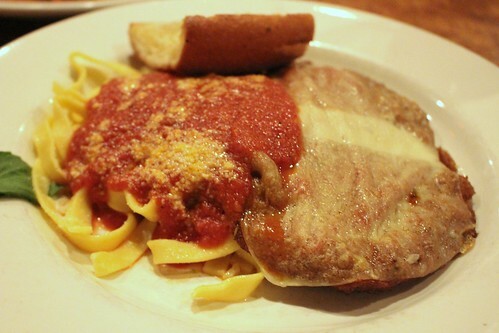 Veal Parmigiana ($19). This is normally served with linguini but I wanted to try another of their handmade pasta so I substituted the handmade fettucine. The veal was quite tender. 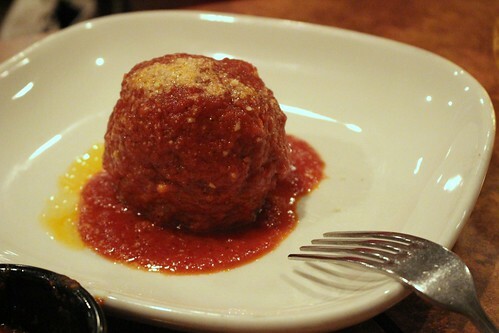 It was topped with mozzarella and more of that marinara. For dessert, we had a choice of cannoli or tiramisu, and obviously I opted for tiramisu. 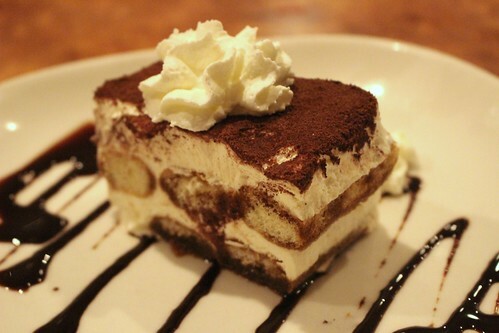 I can't say no to tiramisu. 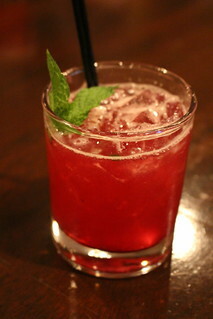 I liked the version here, it was moist and had just the proper ratio of all the ingredients. A nicely balanced tiramisu. 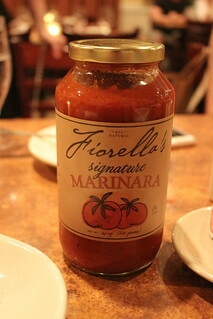 The restaurant also sells their signature marinara sauce in jars! They gave us all one, which should help me make some quick delicious dinners in the future. 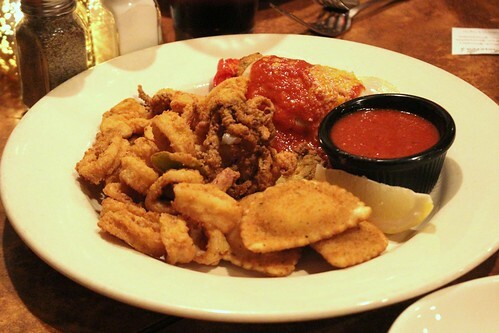 While Newton is their primary location, Fiorella's has three Express locations featuring mainly take out and delivery versions of the same classic Italian dishes. 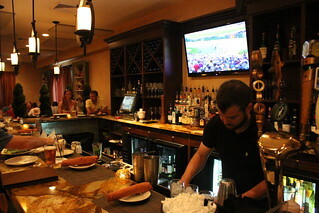 The Express locations are in Brighton, Belmont, and Cambridge.